Sonoff Basic is an affordable WiFi smart switch that provides users with smart home control. 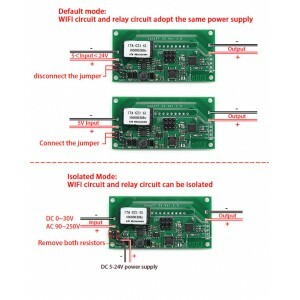 It is a remote control power switch that can connect to a wide range of appliances. 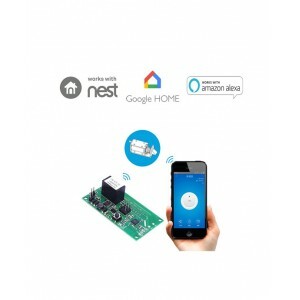 Sonoff Basic WiFi electrical switch transmits data to a cloud platform through the WiFi Router, which enables users to remo..
Sonoff Dual is a WiFi-based 2 gang switch that can connect and independently control two connected appliances or lights. This simply means 1 Sonoff Dual control switch equals to 2 Sonoff basic switches! 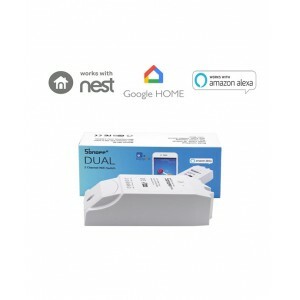 Sonoff Dual 2 gang light switch inherits Sonoff Basic switch’s advantages such as easy installati.. 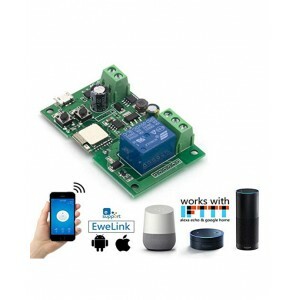 The Sonoff 512 is an affordable Wi-Fi smart switch that provides users with smart home controls.It is a module that can be connected to a wide range of appliances. 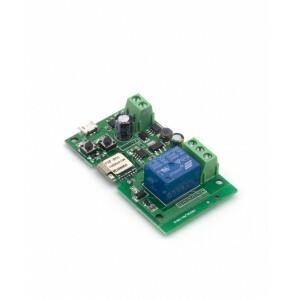 Sonoff 512 WiFi is an electrical switch with one relay and low voltage input 5/12V. The module supports inching /self-locking mode. In s.. The Sonoff SV is an affordable Wi-Fi smart switch that provides users with smart home controls.Sonoff SV is a low voltage switch. The low voltage light switch supports 5-24V power supply. 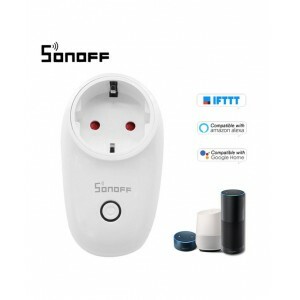 Power supply separation enables it to control both AC and DC powerConnected to the home WiFi router and clo..
﻿Sonoff 4CH Pro is a 4 gang WiFi switches.It supports switching among 3 working modes: interlock/self-locking/inching mode. 4CH Pro supports to set a 0.25-4s delay in inching mode. This feature allows you to let your switch turn on for a few seconds then goes off, which works like a puls..
Sonoff 4CH Pro R2 is 4 gang WiFi switchIt supports switching among 3 working modes: interlock/self-locking/inching mode. In inching mode, 4CH Pro R2 supports to set 1-16s. This feature allows you to let your switch turn on for a few seconds then goes off, which works like a pulse switch. Sonoff 4CH ..
Sonoff Pow is a wireless smart power switch with electricity usage monitor feature. 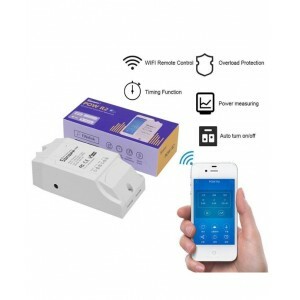 The Sonoff Pow remote power switch works like an electricity consumption calculator( kWh calculator), it allows users to calculate electricity usage and remote control the connected electrical devices by the App..
Sonoff TH16 is a wireless temperature and humidity monitoring switch which can remotely monitor and set temperature and humidity range to turn on/off connected appliances through the iOS/Android APP eWeLink. 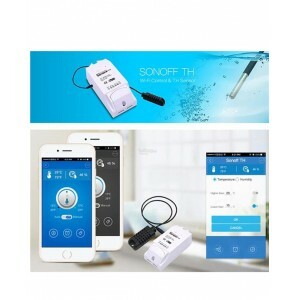 Just as the name indicates, the Sonoff TH temperature and humidity monitor device supports m..
Sonoff S20 is a smart plug with EU standard. Users can instantly convert any plug into a smart outlet with a convenient timer function that works on the user's smartphone. You can turn on/off any connected device either on the APP eWeLink or by pressing the manual control knob of the WiFi plug. 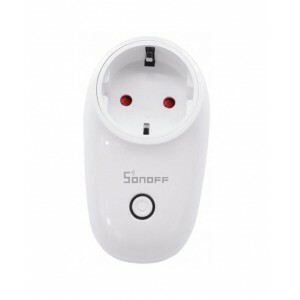 You ..
Sonoff S20 is a smart plug with EU standard. Users can instantly convert any plug into a smart outlet with a convenient timer function that works on the user's smartphone.You can turn on/off any connected device either on the APP eWeLink or by pressing the manual control knob of the WiFi plug. You c.. The Sonoff Touch is a 1 gang touch control luxury crystal glass panel smart wall switch. The wireless wall switch can be added to eWeLink compatible for iOS/Android devices, via WiFi, allowing users to remotely turn on/off connected LED and lights from anywhere at any time. With this touch light swi..
Get first news for new products, discounts and special offers.